Building toys are the ultimate gateway to making learning fun and the have fast proven themselves a top educational tool for growing minds! Researchers, educators and parents are increasingly aware of the wide-ranging benefits associated with construction play, including LEGO®. Whether your child is playing on their own or with their friends, development of their social and communication skills is, in fact, taking place inside! Construction toys such as LEGO bricks encourage the development of soft or people-based skills, for example leadership and emotional intelligence, by allowing an opportunity for problem-solving, collaboration and imagination. High level soft-skills are associated with long-term success in the workplace. Construction play gives children the opportunity to use their imaginations to create a whole new world. Studies reveal such pretend play leads to better cognitive flexibility, empathy, communication and problem solving abilities. When playing with other children, these skills are combined with the invaluable experience of collaboration to achieve a common goal. 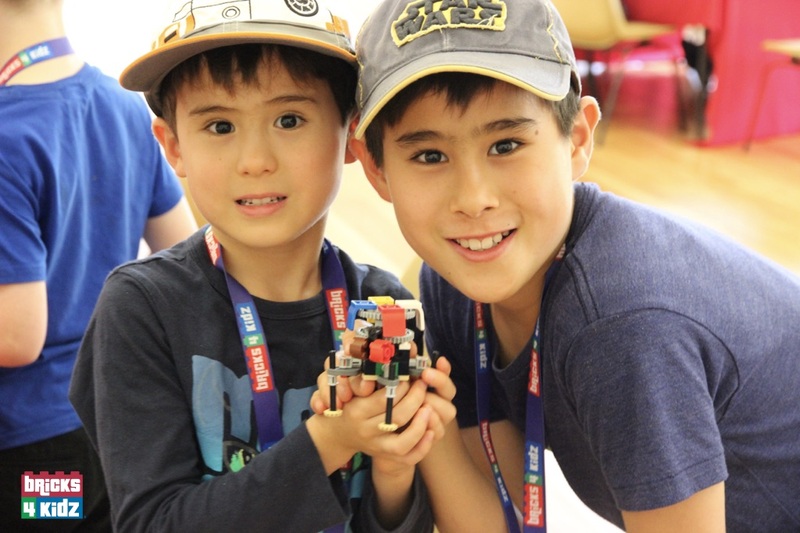 As they come together to create their project, children have to learn to understand each others’ points of view and assume various roles – such as builder, supplier or engineer – to realise their ideas. Collaboration allows children to build conflict-resolution and problem-solving skills, gain knowledge from their peers and pass on their own understandings. As little hands manipulate and test different designs, construction play challenges children to think laterally and improve their spacial abilities. The ability to visualise and place 3D objects increases as your understanding of the space around you grows. Strong spacial abilities are associated with in-demand science and technology careers, such as those in the fields of chemistry, engineering and mathematics. Research also suggests that spacial skills underly many creative career paths including architecture, visual arts and medicine, and that there is a correlation between strong spacial reasoning, innovation and creativity later in life. Studies reveal children improve their spacial reasoning after spending time using LEGO Bricks and being involved in other kinds of hands-on, construction play. This is an aspect of education often forgotten in a traditional classroom setting. For visual learners, construction bricks are the perfect stepping stone to understanding basic mathematical concepts. Addition, subtraction, multiplication, fractions, measurement and even early algebraic concepts are all readily conveyed in a fun and friendly way when playing with LEGO bricks. Studies indicate that not only are bricks a great tool for learning, but engaging in construction play also provides crucial skills and strategies to encourage improved mathematical abilities. Watch a child at play. They are creating a world, changing it to suit their needs. That is precisely what an engineer does! When a young child is building with blocks, there’s actually a lot of engineering going on. A toddler may prefer destruction over building…this is a baby step! Every construct has a cause and effect. What happens when you swipe a stack of loose blocks? Gravity pulls them down. As time goes on, with each structure attempted and completed, watch children become more experimental with their designs. They will discover new solutions to improve their projects. Engineers spend a lifetime doing this. Even the most brilliant invention is never completed. LEGO bricks and other forms of construction play help children grasp complex concepts, especially when it comes to design, where there are multiple layers of abstraction at work. As children stack, create, interlock and try and try again, they aren’t simply building a basic structure, they are also building their minds. As the evidence suggests, the time, expense and effort invested in this pastime will pay off down the line, especially as children make advances in their education. Want to expand your child’s mind? Bricks 4 Kidz run fun, interactive after-school workshops and school incursions that deliver high quality opportunities for educational play. Get in touch to learn more or sign up to one of our hands-on learning programs today!